Viktor has spent his entire undead life being the bogeyman to the paranormal community, and that’s the way he wants to keep it … with everyone else far away from him. But when the opportunity arises to take his revenge on his nemesis, he can’t resist—even if it means risking his reputation and rescuing the damsel in distress. 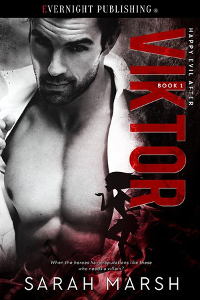 Halle never expected to find herself in need of a savior, especially one with a reputation like Viktor’s. But she’s used to listening to her instincts, and her cat trusts the strange woman who pops up and claims to have some solutions. After all, if a girl can’t trust her own Fairy Godmother, then what is this world coming to?